Updated November 2, 2016 – Starkey Laboratories Xino hearing aids are mini-RIC (Receiver-in-Canal) style hearing aids that feature a long-lasting 10A battery, as well as configurable user control. These Starkey hearing aids are designed for those with hearing loss ranging from mild to severe. The series of mini-RIC hearing aids are designed to provide the user with a comfortable, open fit, with a variety of colors to match his or her hair or skin. Because of their color and size, the Starkey Xino series hearing aids are extremely discreet, and can be essentially invisible. The Starkey hearing series can be used by a wide range of individuals, from those who enjoy being active and on-the-go, to those who enjoy spending relaxing time at home. All of the Starkey Xino series hearing aids include advanced technology to help reduce the user’s listening effort, and help enhance listening clarity. Voice iQ2Technology significantly increases background noise reduction, and increases speech preservation. This technology instantly applies noise adaptations in each channel between pauses in conversation, while also providing up to 20dB of background noise reduction. Because of this, the technology has been proven to substantially decrease the listening effort and cognitive fatigue of the user. Spectral iQ is a frequency-lowering technology that automatically reads higher frequency sounds that are hard to hear, and replicates them in lower frequencies. The Xino series hearing aids with this technology identify high-frequency speech cues and lowers them, making them much easier to hear. PureWave Feedback Eliminator is a technology that ensures wide fitting ranges and a faster response to more complex feedback. The technology makes open ear fittings available to more users thanks to up to 28dB of added stable gain (the additional gain available to the user when the hearing aid’s feedback cancellation algorithm is activated). What this means, is that the user experiences almost no whistling or buzzing from the hearing aid. Automatic Telephone Solutions (ATS) Technology automatically knows when the user is on a telephone, and adjusts its settings to the optimal acoustic frequency response for telephone conversations. HydraShield nanocoating protects the Xino series hearing aids from moisture, earwax, and other oily substances naturally found in the body. This technology helps resist the water, wax, oils, sweat, and humidity that can tend to corrode hearing aids over time. HydraShield makes the Xino series hearing aids more durable than ever. InVision Directionality automatically pinpoints desired sounds, while at the same time, eliminates the unwanted ones. This helps the user focus on what is really important, his or her friends, family, or colleagues. Music and Television Processing technology provides users with multiple music genre settings that help to maximize sound quality, as well as the user’s listening enjoyment. The technology also features a new memory program that is designed to deliver exceptional performance for users as they watch television. Intuitive Features of Xino hearing aids provide users with voice indicators that inform the user of the status of his or her hearing aid. It also informs the user of the status of the hearing aid’s battery, memory, and telephone mode. They may also choose either a male or female voice, in a variety of languages. The Starkey Xino hearing aids come in three varieties: the Xino RIC 110, RIC 90, and the RIC 70. The Xino 70 model is ideal for social settings, such as meetings, restaurants, and quiet time at home. The Xino 90 is excellent for louder environments, such as shopping malls. The RIC 110 performs extremely well in very loud environments, such as stadiums, parties, or in cars. Each of these models are also available in the RIC AP (Absolute Power) edition. The maximum output of each, the RIC, and the RIC AP are up to 30dB reductions in 2dB steps. The compression threshold each is also 24dB Range in 4dB steps. 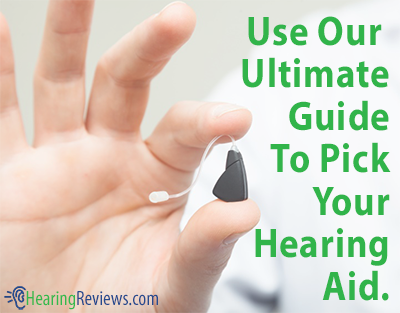 This isn’t the only model we have, see the other Starkey Hearing Aid Reviews. What is an ear mold for Starkey Xino110 Ric? I have tinnitus and was assured this hearing aid was the best choice as it ‘cancelled out’ some of the internal chatter, tones and clanging in my head. It make tinnitus louder – along with road noise, motorcycles and simple cracker wrappers which sound like fire crackers going off. Perhaps, at the next adjustment (supposedly at mid range now) the clinician can adjust the settings and resolve some of these issues. I do wonder why so many models are made and also, why there is no possible adjustment the wearer can make if he finds himself in a room with metal ceilings and voices bouncing all around. My first aid, it seems as though there should be some user controls. I just had my second adjustment. Turning off the phase shifting eliminated all the harsh clanging, zinging and generally painful distortion. Reducing the voice compression feature stopped everyone’s voices from slurring. 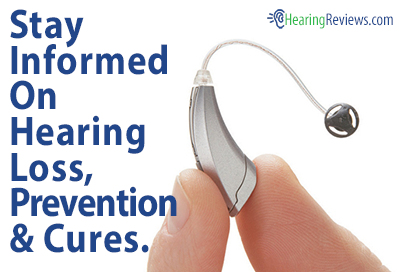 There are as many features available as there are individual hearing loss requirements. No single solution will work for all patients. Be thankful that manufacturers create hearing aids that allow hearing professionals to most closely match the features of the hearing aid to the patients’ hearing loss. Starkey has the best to offer to date, and don’t think you can truly evaluate the hearing aids until you have worn them continuously for at least 3 weeks, and have had at least 2 follow up adjustments. It takes that long just for your brain to reprogram itself to adjust to being able to discriminate sounds that were not being processed by your brain, prior to getting hearing aids.